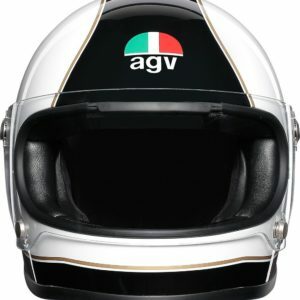 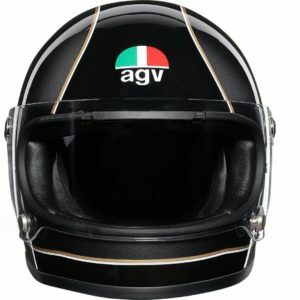 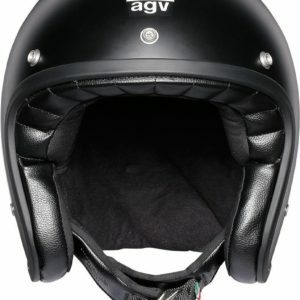 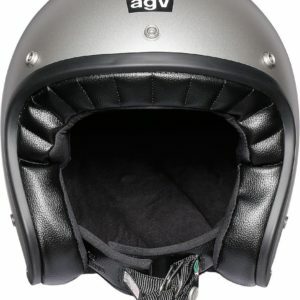 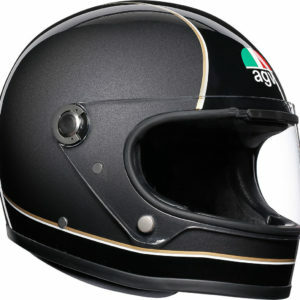 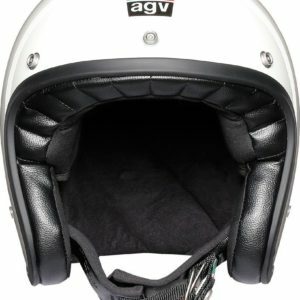 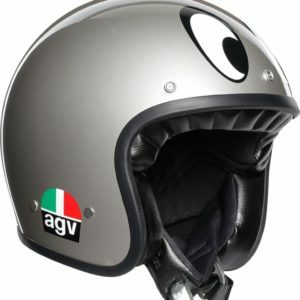 The iconic model that gave birth to the AGV logo. 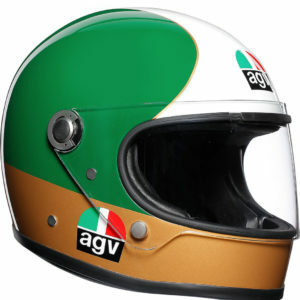 The tricolour Agostini helmet, seen from behind, just as his rivals saw it. 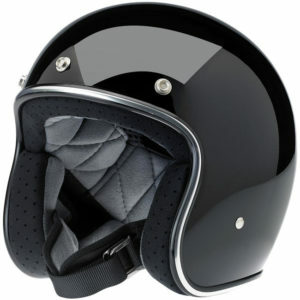 The X3000 Ago has the same colourway, same leather bag used for transport but with all the modern technology and safety. 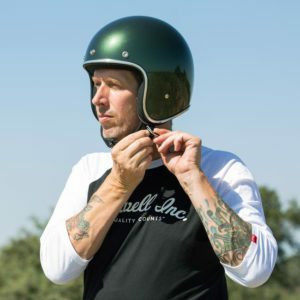 Only 3000 have been made to celebrate this limited piece. 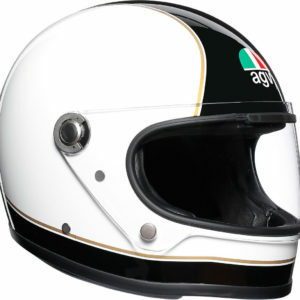 Shell in fibreglass engineered in 3 sizes, EPS structure developed in 3 sizes. 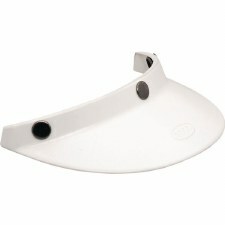 Visor on/off air vent with channels hollowed in the shell. Premium interiors with genuine leather, suede fabric and embroidered logo. 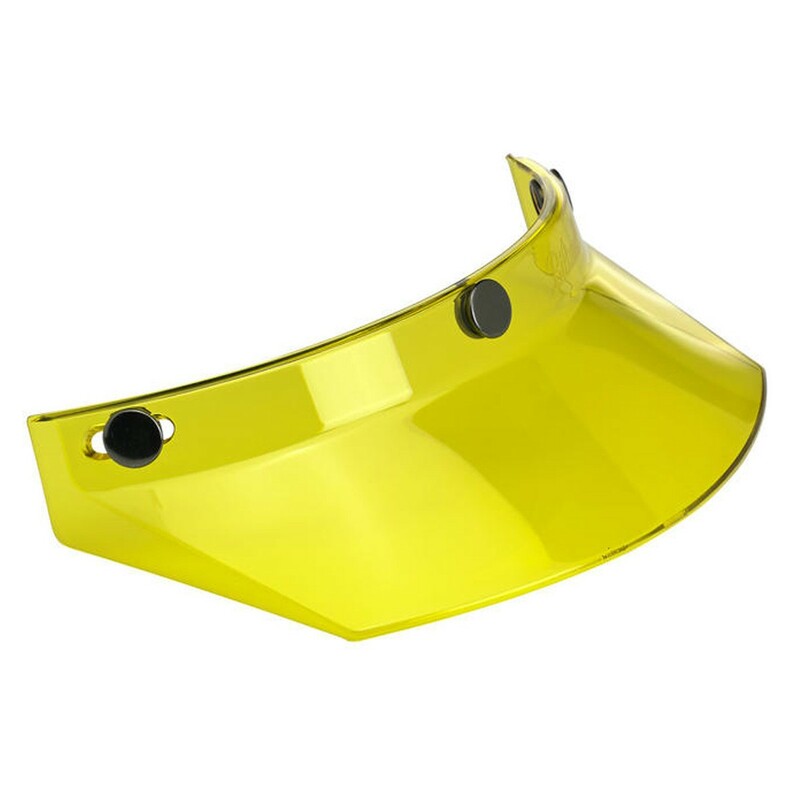 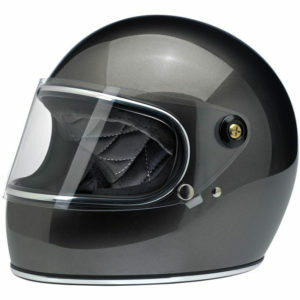 Anti-scratch visor with micro-opening system. 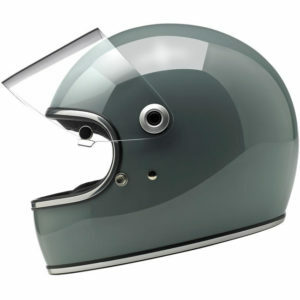 Cleans lines, iconic colours, minimalist combinations: simplicity and elegance mark the early versions that led to the retirement of the single colour motorcycle helmets. 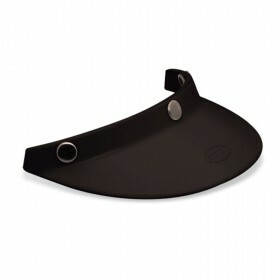 The bold contours on the chin piece and the contrasting lower plate give it an even thinner appearance. 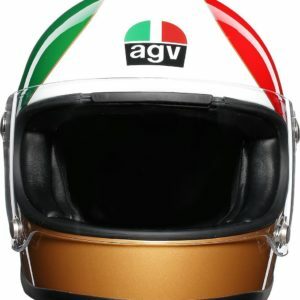 The Super AGV reinvents racing as we once knew it. 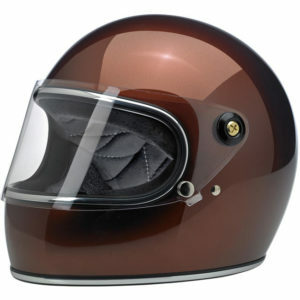 The X70 Mono is subtle, stylish and ideal for any classic or vintage motorcycle rider wanting that neutral look. 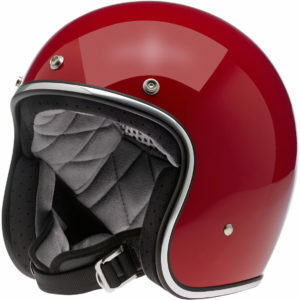 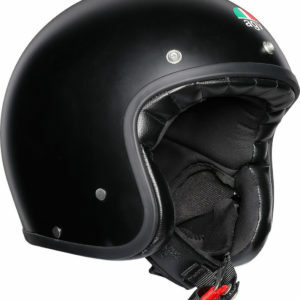 Available in 5 different colours, the mono motorcycle helmet has all of the modern saftey requirements including the Double D retention system. 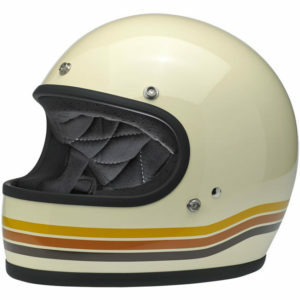 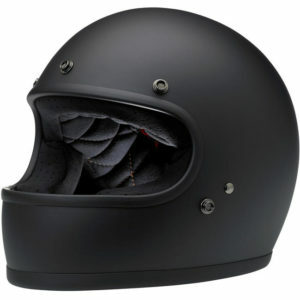 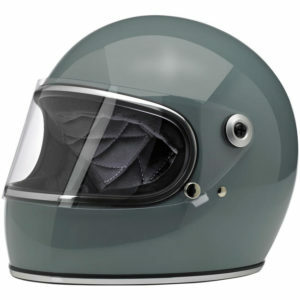 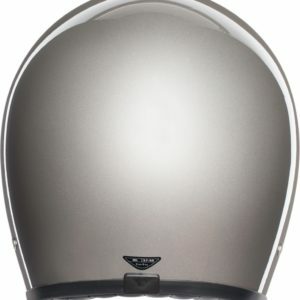 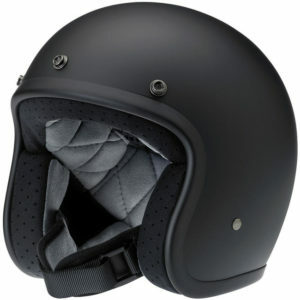 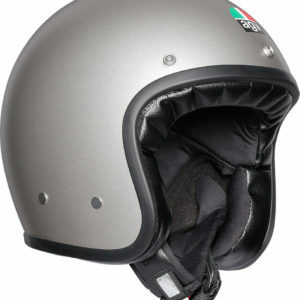 But with the aesthetics of a classic motorcycle helmet. 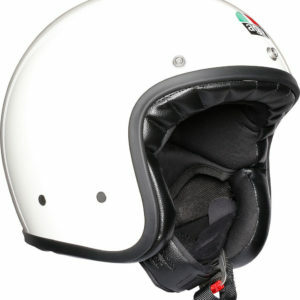 Standard interirors with Eco-leather, smooth fabric and embossed logo (all other graphics).